A weekly fact check of the Trump administration. With just four more days until the midterm elections, President Donald Trump's false claims and rhetoric seem to be growing more irresponsible by the day. And while there are so many things he said this week that need to be checked, this Fact Check Friday we'll briefly focus on major falsehoods surrounding two big issues the president has been pushing in these final days: immigration and health care. The fact checks aren't complicated, but they both share one disturbing trend. On both issues, President Trump is attempting to ascribe his most unpopular policies to his rivals, who in reality vehemently oppose them. President Trump's most unpopular policy of his first two years in office may have been his "zero tolerance policy" at the border that resulted in the separations of thousands of migrant families from their children. It was so unpopular he was eventually pressured into signing an executive order to undo it. On Thursday, from the Roosevelt Room of the White House, Trump falsely claimed that his administration was reversing the separation of families that occurred President Barack Obama. "Under President Obama, they separated children from the parents, Trump declared. "We actually put it so that that didn't happen." In reality, the Trump administration’s policy resulted in the separation of an estimated 2,600 children from their families. According to the Department of Health and Human Services, 221 of those children still remain in U.S. custody and separated from their parents. President Trump has claimed before that Obama separated children. 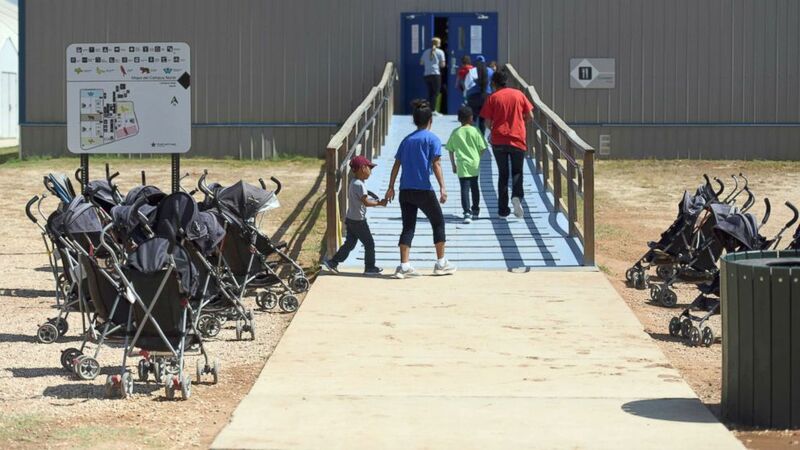 It is true that during the Obama and Bush administrations, a number of arriving families were separated. (And of course, for decades U.S. immigration law has resulted more broadly in the separation of families when parents or siblings living in the U.S. are detained or deported). However, Trump's suggestion Thursday that he did not separate families took this falsehood to an entirely new level. President Trump has been pushing this jaw-dropper for the past two weeks. On Wednesday, he tweeted "Republicans will totally protect people with pre-existing conditions far better than the Dems!" He did it last week too. The claims are false, and, as we recently pointed out, they embody the theme of Trump projecting his own unpopular positions onto his opponents. The facts are that health insurance protections for people with preexisting medical conditions is a major tenet of the Affordable Care Act, aka Obamacare. Republicans in the House voted over 50 times to repeal the law after the law was enacted in 2010. When they took control of the Senate in 2016 they proposed to repeal Obamacare and replace it with a law that would weaken protections of people with preexisting conditions. It failed to pass. Turns out, this election cycle many Republican candidates are keyed into the fact that this is a really popular aspect of the law, and many of them are out there on the stump saying they'll keep these protections. The problem, for them, and for the president, is that 20 Republican state attorneys general have signed onto a Texas lawsuit to overturn Obamacare with no replacement in sight. Many Republicans are actively fighting to overturn the law. Meantime, the claim that Democrats will not support protections for people with preexisting conditions has no basis in fact. Remember that Obamacare passed with zero Republican support. "I will never lie to you"
Finally, if you didn't watch ABC News' Chief White House correspondent Jonathan Karl interview with the president this week... do it now. He pressed the president on his need for up to 15,000 troops at the border for what he has falsely described as a migrant "invasion." But when this election is long forgotten, here's one quote from that interview that likely won't be. KARL: "And finally I remember well – you remember well in the campaign, you made a promise. You said, 'I will never lie to you.' Can you tell me now, honestly, have you kept that promise at all times? Have you always been truthful?" TRUMP: "Well I try. I do try. I think you try too. You say things about me that aren’t necessarily correct. I do try, and I always want to tell the truth. When I can, I tell the truth. And sometimes it turns out to be where something happens that’s different or there’s a change, but I always like to be truthful."